China is polluting itself as well as the world, but Beijing knows it and is actively doing something about it. Not convinced? Let’s take a look at recent developments in China’s solar energy. It’s shocking, it’s alarming, and it makes the US’s attempt to reduce carbon emissions look meager. The object in this image is something Americans don’t recognize, but it’s something every Chinese does. 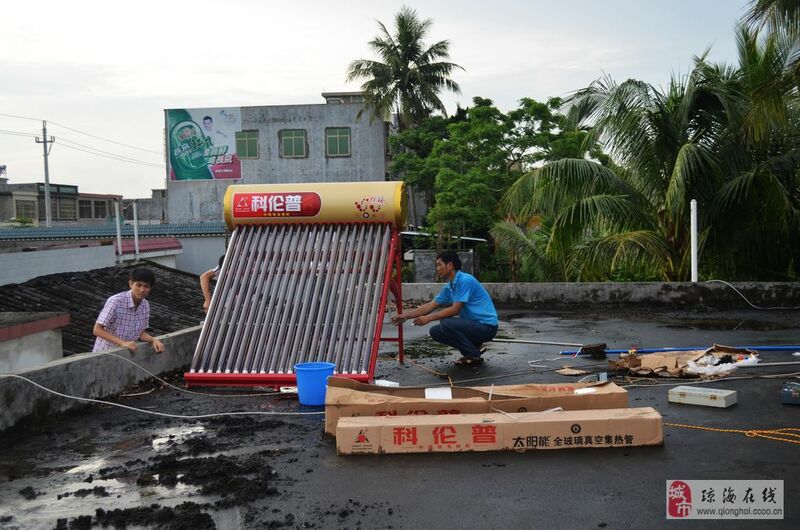 It’s called a 太阳能热水器 (tàiyángnéng rèshuǐqì) or a solar-powered water heater. Take a train ride through China to anywhere, and you are likely to see these even in the most secluded of places. Besides the eastern seaboard, China’s infrastructure is backwards, including its power lines (some villages can only be accessed with a motorcycle or by walking). This means that 1-200 million+ individuals have been living without hot running water until the last few years. I’m not one to get too involved in US domestic politics, but since we’re talking about this issue as a comparison with the US, I have one comment to make here. 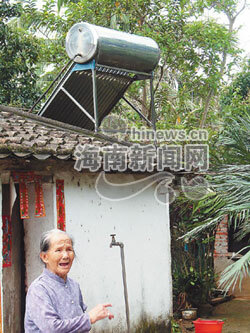 Why is it that villagers in China can afford this technology to be installed in their humble abodes, but in the US, it would cost upwards to $20,000 to have a system installed? (figure according to: http://energyinformative.org/solar-panels-cost/) Something is not right here when that is the case, and it has got to change. Visitors in China will see more solar panels being used on office buildings in the city which will contribute to the energy infrastructure already in place. China’s solar panel industry will continue to dominate the market, companies will further invest in renewable energy, and–fingers crossed–you and I can enjoy a semi-smog-less China. That’s exciting news, indeed.